Students will be able to add or change a letter in a one syllable word to make a new word. Review word families with your students. You can tell them that a Word familyIs a group of words that end with the same sound but start with different letters. Show examples of word families to tap into students’ prior knowledge (e.g. 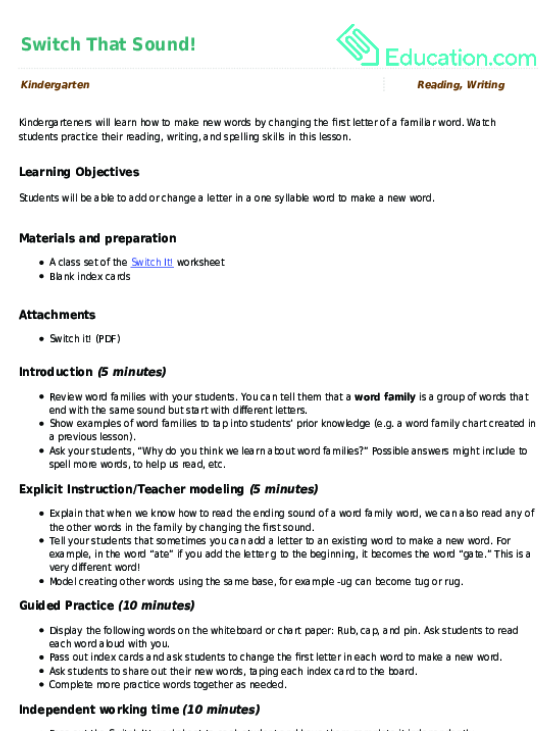 a word family chart created in a previous lesson). Ask your students, “Why do you think we learn about word families?” Possible answers might include to spell more words, to help us read, etc. Explain that when we know how to read the ending sound of a word family word, we can also read any of the other words in the family by changing the first sound. Tell your students that sometimes you can add a letter to an existing word to make a new word. For example, in the word “ate” if you add the letter g to the beginning, it becomes the word “gate.” This is a very different word! Model creating other words using the same base, for example -ug can become tug or rug. Display the following words on the whiteboard or chart paper: Rub, cap, and pin. Ask students to read each word aloud with you. Pass out index cards and ask students to change the first letter in each word to make a new word. Ask students to share out their new words, taping each index card to the board. Complete more practise words together as needed. Pass out the Switch It! 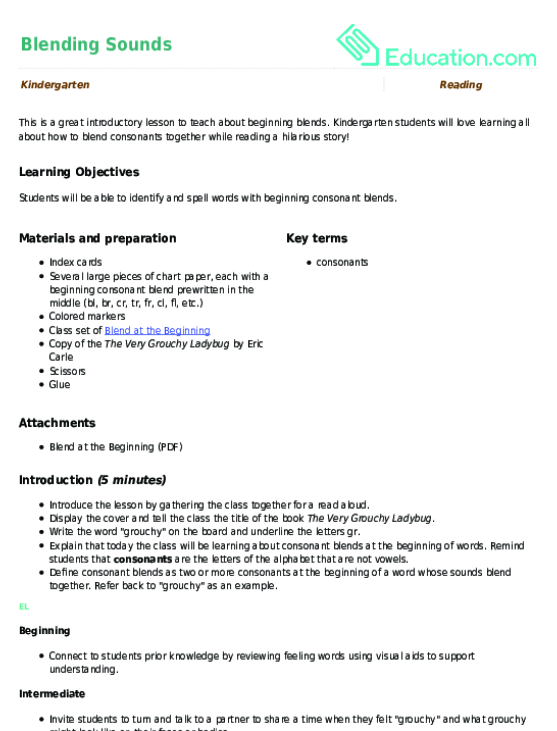 worksheet to each student and have them complete it independently. Provide support to students as needed. Enrichment: Advanced students can add beginning blends (gr, bl, etc.) to their word family words to make new words, then use the new words in a sentence. Support: Have students use magnetic letters and a whiteboard that has the word family base written on it to make new word family words (e.g. write -an on the whiteboard and have students place each magnetic letter in front to see if it makes a new word). Ask students to write down a word family word (used in the guided practise portion of this lesson) on an index card and write a new word on the other side of the index card by changing the first letter of the word. Collect worksheets and assess and correct student spelling as needed. Share out the new words students came up with using the word family words. Write the words on the whiteboard. Go over student questions as needed. Students will switch the beginning sound of a word to create a new word. 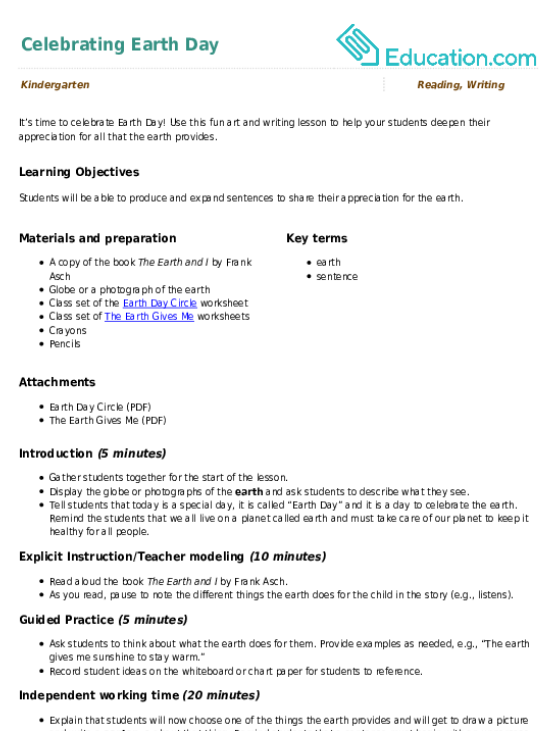 Help your kindergartner learn about letter sounds using this fun letter sound matching activity. Assess your students’ ability to isolate the initial sound in a word. 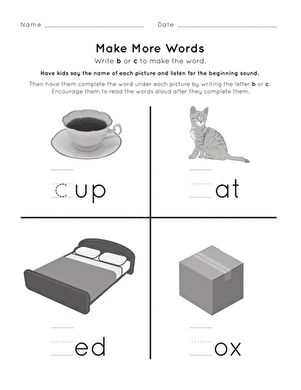 In this worksheet, your child will say the name of each picture, listening to the beginning sound, then write the missing letter that completes the word. Use this assessment to check your kindergarteners’ ability to isolate the middle sounds in words. Use this assessment to check your kindergarteners’ ability to isolate the beginning sounds in words. Use this assessment to check your kindergarteners’ ability to isolate the ending sounds in words. Use this fun art and writing lesson to help your students deepen their appreciation for all that the earth provides.